What Does Mortar Stick To? 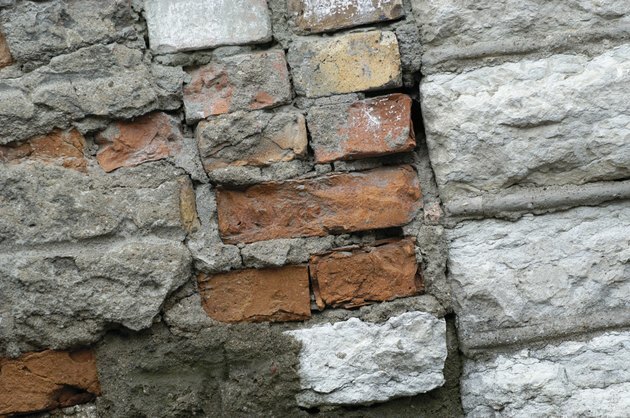 Mortar is a building material used to join substances and cement them in place, especially strong, mineral-based materials used on walls, floors and foundations. The basic recipe for mortar is water, aggregate materials and cementitious materials with some adhesive properties, but the recipe can vary widely from mixture to mixture, and many additives can be included to give the mortar extra properties. 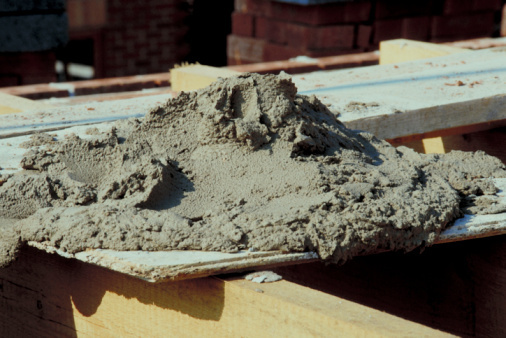 Mortar bonds with brick, concrete and similar materials. Mortar is designed primarily to hold masonry materials together. For most construction projects, this means bonding with brick or concrete that has already dried, projects where such materials need to be formed into walls and barriers. However, mortar can also be used for more elaborate projects with ceramic tiles. Mortar is useful for holding reinforcement materials firmly in place. A common example is rebar, the steel rods inserted through openings in concrete blocks to give them extra strength. If the rods and concrete are made separately, then mortar needs to be used to fill in the gaps and add firmness and solidity. Mortar also works well with a variety of natural minerals. It can be used as a substrate to hold shells or bits of rock and glass to make custom floors and walkways. It can also be used to bond with natural stone: Mortar is a common material when attaching granite or marble stone tiles as a facade in outside construction work. Because mortars can contain so many extra ingredients, their uses can vary widely. Some mortars are made with polymers to increase their strength and bonding qualities, making them ideal for larger stones and bricks. Other mortars have additives that make them waterproof and useful for filling in gaps and cracks. Every formula has its applications and areas where the mortar will not perform well.